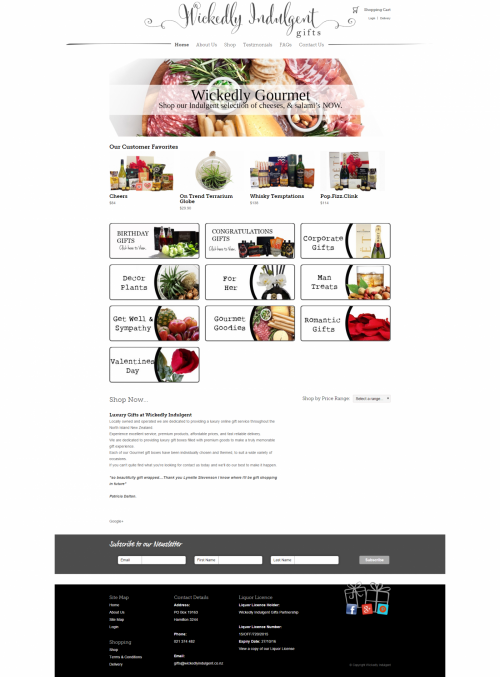 This shop site has been designed to promote the gifts sold by the client and to allow customers to purchase online. The site has a 'proof of age' system that prevents people under 18 from viewing or purchasing alcohol. Wickedly Indulgent Gifts offer modern, stylish and innovative gift boxes. They use premium products at affordable prices with fast reliable delivery. Each of their gourmet gift boxes have been individually chosen and themed to suit a wide variety of occasions.